A fascinating story from the home of the Great Torah Sage Rabbi Chaim Kanievsky, took place on the day of the second round of elections in Jerusalem. Early in the morning, a Parkinson's patient fell and broke his ribs. The patient was rushed to the hospital. The doctors diagnosed that the broken ribs had caused a hole in the patient's lung, and therefore urgent surgery was needed. 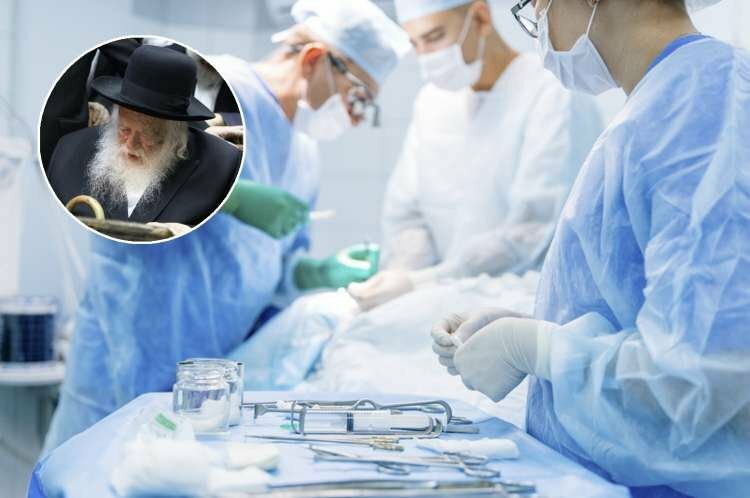 The patient's family approached Rabbi Chaim Kanievsky and asked for a blessing for the success of the operation. In response, the rabbi asked: "Has the patient voted already?" The family members replied that the patient was already hospitalized and waiting for an operation. Rabbi Kanievsky continued: "Has he voted already?" The family members understood that the rabbi saw the voting in the elections as necessary, despite the urgent surgery. They contacted one of the medical organizations and asked them to send an ambulance to take the patient to the polling station in order to vote. Another remarkable story occurred when a person went to buy an apartment in Bnei Brak. Before signing the contract, he went to Rabbi Kanievsky's house to receive a blessing. The Rabbi replied, "Blessing and success, but first go and get a haircut." The questioner was surprised, especially since the week before he had already had a haircut. But he decided to listen to the great leader of the generation without question. He went to the barber, who was surprised to see him a week after giving him a haircut... To his astonishment, he replied that he was about to sign a contract to buy an apartment, so he went to receive the blessing of Rabbi Kanievsky, and this is the response he received. The barber, who took interest in the details of the apartment, was amazed to hear about the apartment in question. "From this apartment run away like fire," the barber told the client. "I live in the opposite building, and there are serious problems among the neighbors, and everyone who buys there is in a hurry to sell."